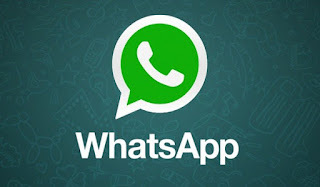 Whatsapp is trying so hard to add more features so that we all can have a cool and flexible chat we our love ones. Not so long, Whatsapp introduced Text formatting which allows us to bold, underline, italic text. Also, whatsapp introduced document sharing which allows us to share pdf files, even in group. Whatsapp is about to introduce a Call back feature which allows us to call back a user without opening the application. What this simply means is that, when you receive a missed call from a whatsapp contact, a notification will be on your phone's notification bar with a Call back. Whatsapp is also introducing a feature to allow us to share Zip files. This is really a good improvements on Whatsapp application, but we are hoping they add Video chat feature too. Upon reading this, which of these features do you love?